An independent specialist for luxury Wetrooms, Bathrooms & Showers in & around Surrey and Hampshire. Have a look through my site, browsing pictures, viewing our current projects and seeing the quality brands we install and when you want to discuss your thoughts & plans for your next bathroom or wetroom renovation don't hesitate to get in contact. 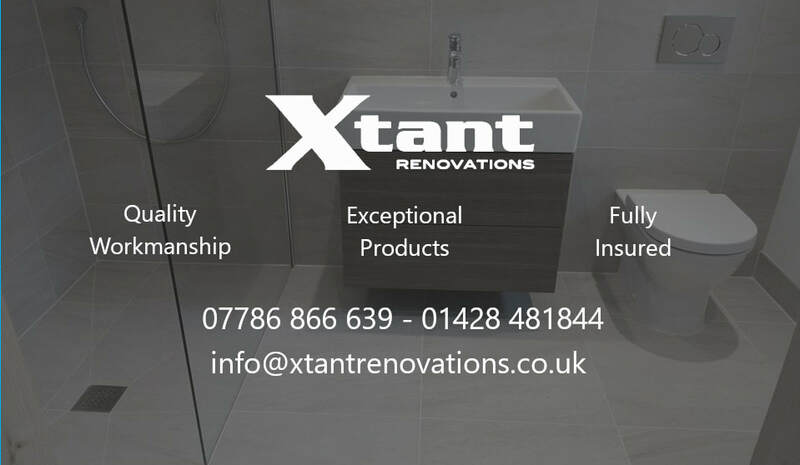 Only undertaking one project at a time, means that we are completely focused on creating your bathroom or wetroom with all trades undertaken giving you a hassle free installation. See some of our completed bathroom projects. Bathroom Installation in Surrey & Hampshire. Wetrooms very stylish but also practical. Could a wetroom be what you looking for? All photos and videos are work and property of Xtant Renovations and can not be used or copied without prior written consent and notification.